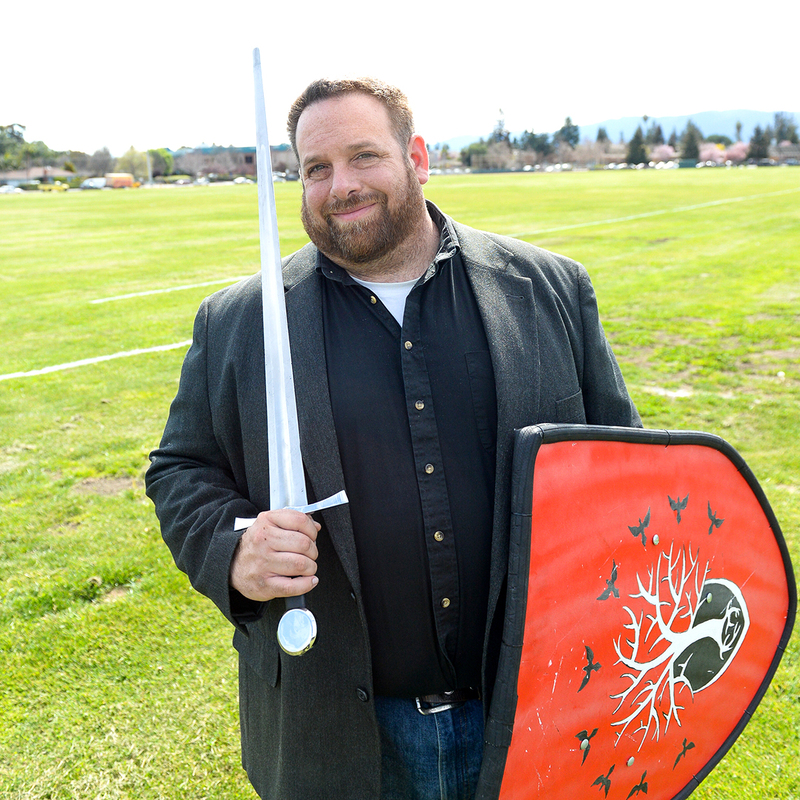 Harker runs through the veins of middle school English teacher Mark Gelineau ’90. His late mother, Pam, was lower school admission director for years, and his late father, Dan, was not only an alumnus (Palo Alto Military Academy ’65), but went on to be athletic director, dean of students and assistant head of school. Gelineau’s wife, Tiffany, is a familiar face around campus as a substitute nurse. A kind and giving spirit shines through all he does, from co-leading the middle school Spirit Club to volunteering with theater organizations, from publishing a number of fantasy novels to supporting organizations that help fight the exploitation and trafficking of children. This Renaissance man shared some thoughts with Harker Magazine. Shyness is overrated. I was a super shy kid growing up. I got over it. Control the spotlight and you aren’t embarrassed to be in it. What is something that you pretend to understand when you really don’t? Sports. Pretty much all sports. My idea of fantasy football involves dragons and a hobbit. I wish there was an actual Quidditch team I could support. What is something one of your parents said that you will never forget? My dad once told me that the most important thing about teaching is that every single student, every child that you come in contact with that day, is the most important person in the world to someone. It took me becoming a father to really understand just how true and profound that was. Because I get to talk about stories with brilliant young people. And that’s so awesome. I practice historical European martial arts. My specialties are medieval arming sword and shield, medieval pole-axe, and sword and buckler. It’s crazy and I love it.